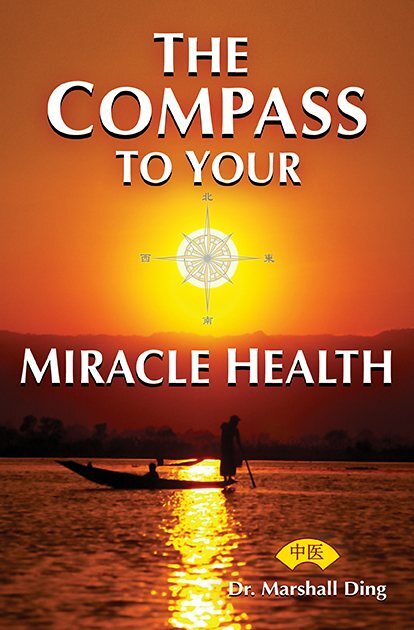 Dr. Ding’s book “The Compass to Your True Health” has just arrived. This is the most efficient and powerful book in Natural healing medicine. It is based on Laws of Nature. No one is more powerful than Laws of Nature. Dr. Ding’s book will demonstrate to you that to reach the ultimate healthy happy life doesn’t cost extra money, time or effort. It only takes little adjustments in the things that you do. This compass is from Laws of Nature therefore, it will never fail unlike man’s laws. Laws of Nature are the only guarantees that never fail anyone. Cut the chase, get to the point is how Nature gets things done. If you don’t have time or money to waste to be healthy, then this is the book you can’t afford not to read. Yes, you are the miracle to your ultimate healthy and happy life. Find out how to get this done from this book now!